What’s that? 100 years? We don’t mean human years of course, we mean dog years! 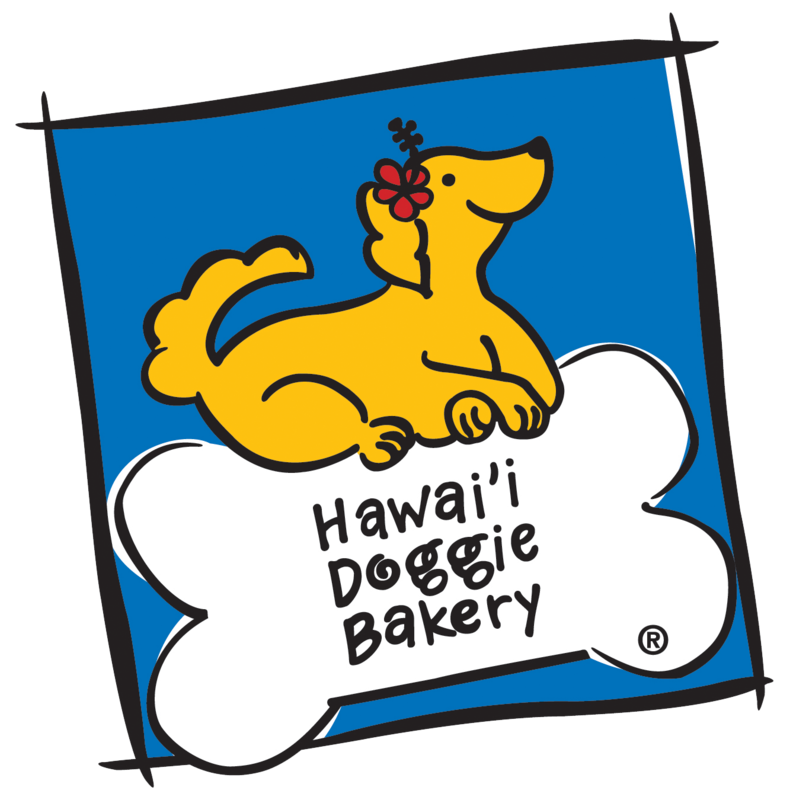 Hawaii Doggie Bakery Ohana celebrated our family dog Ki’inani’s 100th Birthday Paw-ty on November 20, 2016. 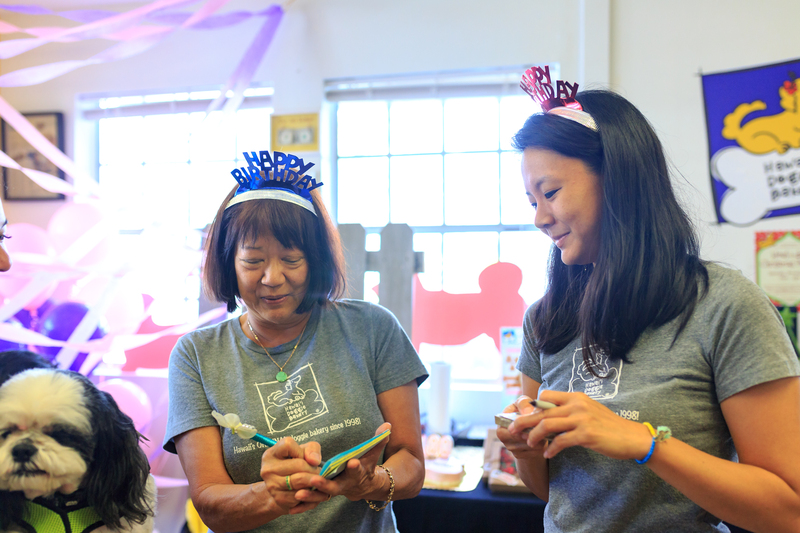 We were thrilled to celebrate Ki’inani’s special day and we were excited to invite everyone to come down to wish her a Happy Birthday! 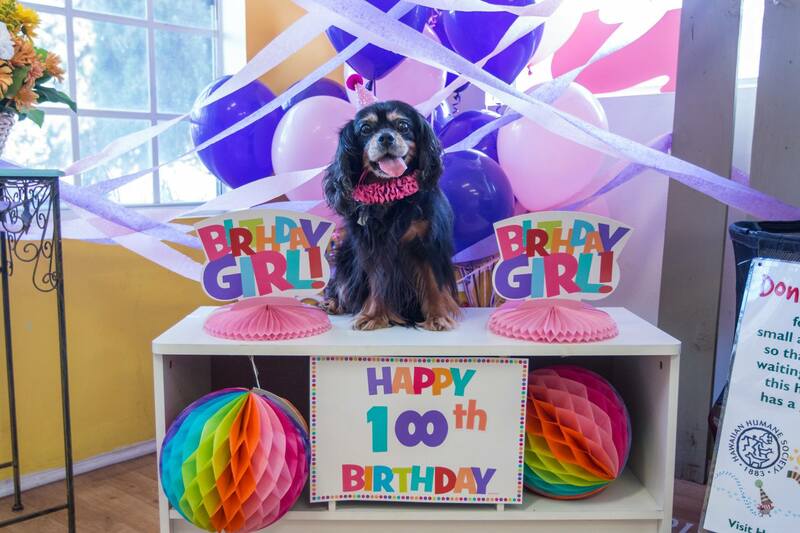 We had cake, a 100th Birthday Photo corner, take-home favors and doggie champagne! In lieu of gifts for Ki’inani, since she is a 10+ years volunteer at Hawaiian Humane Society through their Pet Visitation Program, she asked guests to please bring a toy donation for the Hawaiian Humane Society’s Holiday Toy Drive so that all the animals adopted during December would have a Holiday present. We had a furtastic time celebrating and we are so grateful to everyone who came out to paw-ty with us!! 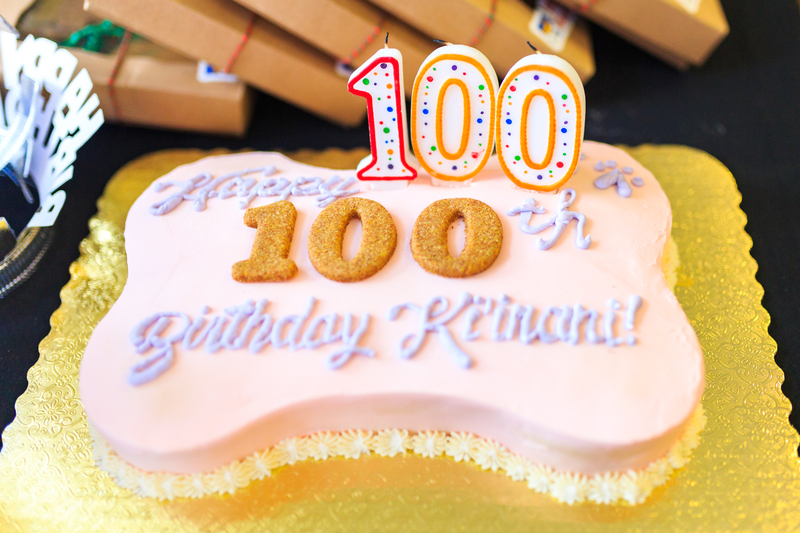 Happy 100th Birthday Ki’inani!! !